This past week, Zoomer Media hosted a panel discussion on Ontario’s growing electricity rates which the media organization (affiliated with the Canadian Association of Retired Persons/CARP) says is adversely affecting seniors and others on fixed incomes. Energy analyst Tom Adams was one of the panel members, who called on the government to rescind the Green Energy Act, which he says is at the core of the problems today. Wind power produces only 6 percent of the Ontario supply, he said, but at 30 percent of the cost. McMaster University professor Marvin Ryder agreed that expensive contracts were a problem but he said the damage has been done, and it will be 10 years before Ontario can climb out of the hole. The Ontario government awarded five contracts for new wind power generation in 2016, including two in the Ottawa area. The cost of these projects is about $1.3 billion. If the projects proceed (they do not yet have Renewable Energy Approvals/REA), the cost will be a further addition to Ontario electricity ratepayers’ bills. Ontario’s electricity bills are the fastest rising in North America, with rates increasing year over year. While the government talks about “relief,” it is not doing anything substantial to help. Here is the news from Eastern Ontario, as reported in the Brockville Recorder and Times. Frustration at Ontario’s high hydro rates boiled over at a United Counties meeting Tuesday as mayors railed against an “out-of-touch” provincial government that is indifferent to the plight of rural Ontarians. 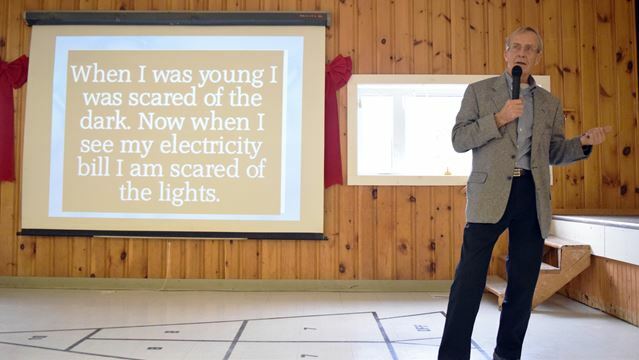 “Seniors are losing their homes, seniors are going to food kitchens,” said Mayor David Gordon of North Grenville, who said he knows of 89- and 90-year-old farmers in his township who have to continue to work because they can’t afford their electricity bills. Gordon said that if Americans were experiencing the same increasing power rates as in Ontario they would be demonstrating and rioting in the streets. Augusta Mayor Doug Malanka said the government has failed to consider the unintended consequences of high hydro rates. As an example, Malanka cited the Prescott Curling Club, which has complained to the Ministry of Sport, Tourism and Culture that its escalating power bills put the future of the club in doubt. Malanka said the club did extensive energy-saving upgrades to its rink several years ago. Despite this, the club’s power bill increased by $13,000 over an 18-month-period, bringing it to $25,000 annually, he said, noting that the rink operates only six months a year. Club president Ron Whitehorne said the hydro bill now accounts for half of the club’s budget, and the rates continue to rise despite the $120,000 spent on renovations to make the rink more energy-efficient. The rising rates, coupled with the depletion of the club’s capital reserves to pay for the improvements, has put a real squeeze on the volunteer-run club, Whitehorne said. Malanka said counties mayors raised the hydro issues with Liberal MPP Bob Delaney, parliamentary assistant to the energy minister, at a meeting during last week’s Rural Ontario Municipal Association conference. Delaney was initially defensive about the mayors’ complaints, Malanka said, but he later agreed to a followup meeting with counties’ representatives. Warden Robin Jones agreed to contact Delaney to arrange a followup meeting. Gordon said that the Liberal government has lost touch with the average Ontarian. “These people living in Toronto don’t care because they are living in their fancy condo on the 27th floor,” he said. 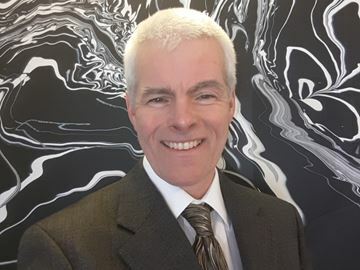 Rideau Lakes Mayor Ron Holman, who chairs ROMA, said the Ontario government needs to set “predictable, prudent, long-term” hydro rates so that businesses and residents can plan for the future. Instead, the government seems to be taking an ad-hoc approach to hydro by fiddling with rates in response to the “flavour of the day,” he said. Holman said Ontario Premier Kathleen Wynne is continuing to promise “adjustments” to hydro rates in the next budget. “What does that mean? I have no idea. What assurance does that give to individuals or businesses that want to come to our community? It doesn’t,” he said. Several mayors pointed to Burnbrae Farm’s decision to build new hen houses in Quebec, instead of Ontario, as a consequence of high energy costs. 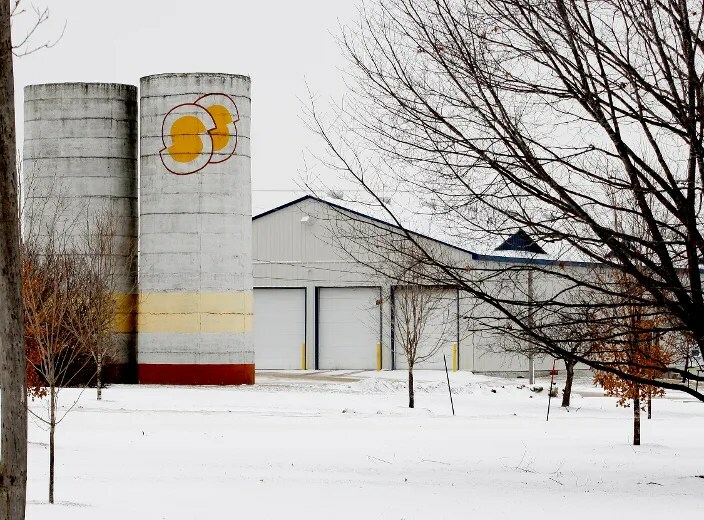 They were basing their comments on a news report that said the egg producer, which is centred in the United Counties of Leeds and Grenville, was expanding to Quebec to escape Ontario’s hydro rates. But Margaret Hudson, president of Burnbrae Farms Ltd., flatly denied that hydro rates played a part in the decision. “The cost of electricity was never a factor in our decision on where to locate our new farm,” Hudson said in a statement Tuesday. Special guest will be Parker Gallant. Mr Gallant’s commentary on energy issues is regularly published in The Financial Post and other media; he is a former international banker and vice-president at Toronto Dominion Bank. He is vice-president of Wind Concerns Ontario. The second event will be in early March, location TBA. Q:You’ve been telling people about the impact of renewables, specifically wind power, on Ontario’s electricity or hydro bills. How much of our electricity bills is due to the wind power/renewables program in Ontario? Parker Gallant: I recently reviewed the cost of wind and solar generation relative to its contribution to Ontario’s demand for electricity and its impact on our electricity costs is shocking. Wind and solar in the first six months of 2016 delivered 8% of our generated power and represented 35% of the Global Adjustment which appears set to average over $1 billion per month. That represents a cost of over 36 cents a kilowatt hour (kWh), including the hourly Ontario energy price (HOEP). Q: Parker, you’ve also been telling people about the Global Adjustment or GA, which is where a lot of charges are hidden. Do you think these charges should be detailed on our bills, or is that even possible?Parker Gallant: While I believe in principle the GA should be revealed on our monthly bills, in practice, that would require reams of paper. How will the local distribution company explain how much you are billed for curtailed wind generation or the meteorological stations that measure the amount of curtailed wind that might have been generated? How to explain, say, the cost of spilled hydro or steamed off nuclear or the water fuel fee, or how to tell the ratepayer how much they are subsidizing the rates for large industrial clients, or what it is costing under the rural and remote rate plan (RRRP) that transports diesel fuel to remote First Nations, among dozens of other items included in our monthly bills? Q: The Premier and Energy Minister are now saying that parts of their policies have been a “mistake” and that they need to get bills down. Wind Concerns is saying that canceling wind power contracts is necessary for that to happen. Can you explain? How much are the 2016 contracts worth? Parker Gallant: Interesting they are now admitting a “mistake,” but when George Smitherman was Energy Minister he was provided with a long-term energy plan that had been carefully developed by “experts” within the crown agencies. He chose to cancel the plan and instead, impose one developed in conjunction with outsiders who were NOT experts. Previous Energy Ministers (Dwight Duncan comes to mind for his “smart meter” for every ratepayer) made mistakes, as did those who followed such as Brad Duguid and were roundly criticized by both the media and by ratepayers. The canceling of wind power projects not yet built or even contracted is only “step one” and will slow the climb in our bills. The current Minister, Glenn Thibeault has only suspended Large Renewable Procurement or LRP ll, and needs to cancel it, as well as LRP I and any of those contracts now past their agreed-to start date. There are ways to reduce costs almost immediately. Jane Wilson: Wind Concerns Ontario prepared a detailed document for the IESO on the Long-Term Energy Plan, suggesting ways they could save $1.7 billion annually. That would have an immediate cost reduction impact. Q: The Energy Minister says that now, Ontario is a “net exporter” of electricity like that’s a good thing. He claims we’re making money: is that true? Parker Gallant: Being a “net exporter” of 16.8 terawatts (TWh) in 2015 is simply a demonstration of being a bad planner and manager of the system. If one adds the spilled hydro and curtailed wind to the net exports, the 21.2 TWh could have provided over half of all average Ontario households with power for a full year, yet we sold it 2.36 cents/kWh while we paid 10.14 cents/kWh for its generation. Ontario contracted for far too much intermittent and unreliable wind and solar power creating a domino effect the increased our costs of generation. Paradoxically, if Ontario ratepayers consumed more of the annual excess power (15.5% in 2015) it would help reduce our per kWh cost. Q: What is WCO’s stance on climate change? Q: Why does the Ontario government continue to force wind turbines on communities that don’t want them? Jane Wilson: The government is acting on an ideology that is not supported by fact and to do that, it erased communities’ right to local land-use planning with the Green Energy Act. We think that’s wrong, and are supporting the now 116 municipal governments that have demanded a return of that control and also that community support be mandatory for wind power contracts. There is a concern too about communities in the North where there may not be elected municipal governments, where contracts can be awarded for wind power projects that have a significant negative impact on the natural environment, for little or no benefit. WCO worked with Ontario municipalities on the mandatory support resolution. Q:Can the government really cancel wind power contracts? Can a new government cancel the subsidy programs? 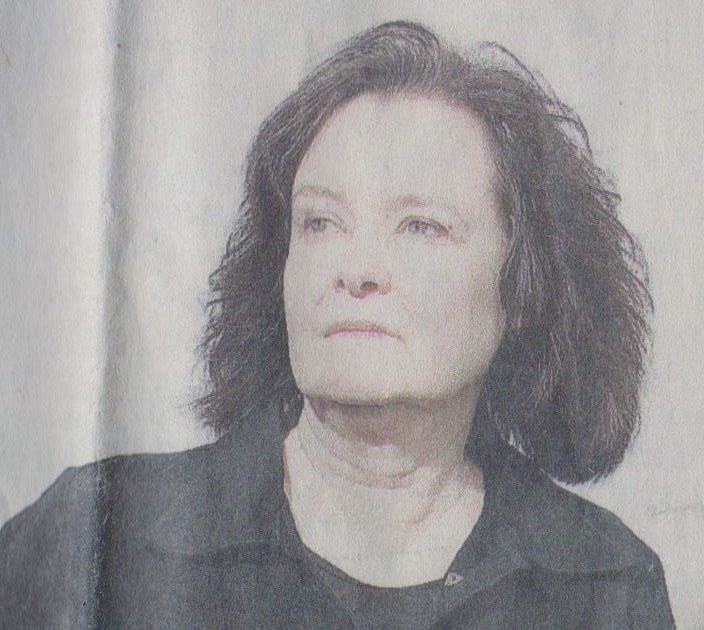 Jane Wilson: Yes. There are clauses in the contracts under LRP I that are “off-ramps” in the case of cancellation, and which set out the financial steps needed to do that. For example, the contract with EDP for the “Nation Rise” project south of Ottawa in North Stormont, worth $430 million over 20 years, would cost $250,000 plus reimbursement for development costs that must be justified, to a maximum of $600,000. And yes, government can cancel subsidy programs. The LRP II, now “suspended”, should be cancelled outright. The other opportunity is to cancel wind power projects that do not have a “Notice-to-Proceed”: this is straightforward. WCO has also suggested to the IESO that the government look seriously at all contracts and review them for opportunities to cancel. Even costly negotiated buy-outs will reduce hydro costs significantly, due to the high cost of disposing of surplus power. Q: What is WCO doing to help people already living with wind turbines, and the noise they produce? Jane Wilson: We support the public health investigation being done by the Huron County Health Unit, and hope that other municipalities will take similar action. We are also looking at how research can be done to help change the Ontario regulations on noise –which are not based on current science and in fact, are completely inadequate to protect health. We prepared a detailed document on how to revise noise enforcement regulations, another on how the approval process must be changed to protect health, and we submitted a document to the World Health Organization which is preparing global noise regulations for wind turbines. In short, we take every opportunity possible to explain the situation for people living in communities where wind turbines and their noise emissions have been forced, without consent, on the people of Ontario, with the goal of having regulations and processes changed. Q: What’s ahead in 2017?Jane Wilson: It’s a very different world for wind power now, than in 2009 when the Green Energy Act was passed. People are genuinely questioning the benefit of high-impact, large-scale wind power development, especially when there seem to be few, if any, benefits, and we are seeing the shocking results of the government’s complete mismanagement of the electricity sector such as lost jobs and rising energy poverty. We believe the government will have to take dramatic action if it is serious about getting electricity bills down. The fact that Ontario municipalities are speaking out on this issue and taking action will also have results, we believe. We are hoping for a complete halt to the ongoing damage of the government’s policies, and that there will be help for people already living with the noise and other impacts of industrial-scale wind turbines. As for Wind Concerns Ontario, we are not stopping our work.